But make sure you don’t dawdle… this offer ends 15th February 28th February! For more info drop us a line or dial 0412 543 053 & talk to Sam the boss man! * Lessons offered for guitar, singing, piano, drums, bass, ukulele, banjo & violin. ** If you prefer to pay another method, please get in contact. 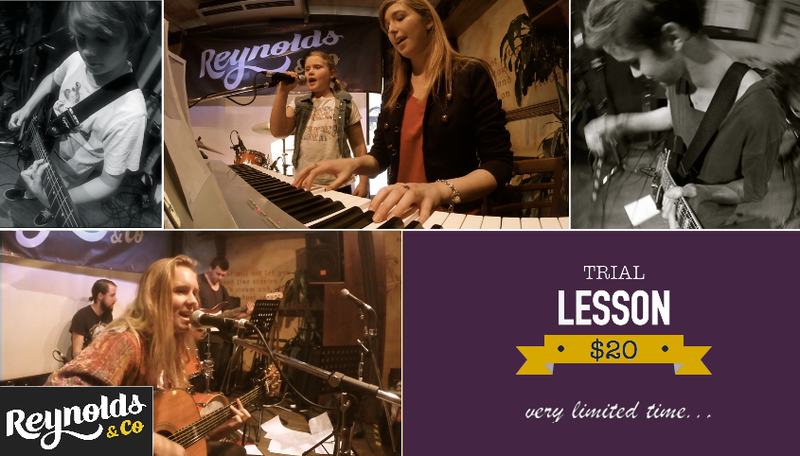 *** Trial lessons only available for individuals not currently enrolled in lessons, or current students wishing to try another instrument.